General monthly fees for Alicia's Convalescent homes are between $1,200 - $1,600 USD. 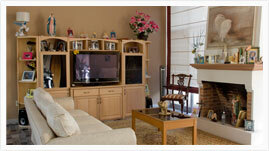 We have 3 diferent level of care: assisted living, intermediate care and full care or nursing home. Assisted living .- For people who still can do everything by them self but some times need a little bit of help. Intermediate care.- For people who has a disability but mentaly are ok.
Full care or Nursing home.- For residence who has Alzheimer´s or Dementia. In all our houses there´s 24/7 care, 3 meals a day (balance diet and always fresh food), laundry and cleaning every day, private rooms, WiFi, local transportation, cable tc, daily exercise; the most important is that when a new residence como to our place became part of our family. 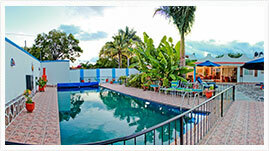 Wich include: daily meals, laundry, cleaning service and 24 hour care from the Staff. The fees vary upon an as-needed basis and are subject to change. These fees DO NOT include Doctor's visits, diapers or medication. Cooking and groceries are included on the fees, meals are served according to their needs. 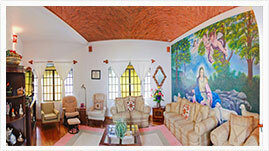 Living Room at La Floresta #7, All The Areas have wheelchair ramps to facilitate tranportation. 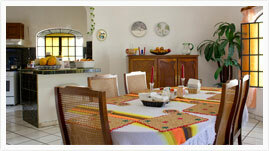 Another rest area in La Floresta, this residence have a functional fire place for greater confort. Elder Adults on La Floresta #57, one of the homes that conform the Complex. Alicias Concalescent complex features several homes properly redesigned for elder nursery. 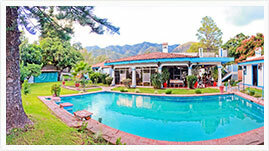 La Floresta #57 have a large wrap-around porch, as well as a beautiful pool.